There isn't much more exciting than a trip to a warm, wind swept island. Within a few hours flight, 50% of the US population can achieve the dream weekend that makes flying worthwhile. The following are required actions for safe overwater flight. 1. 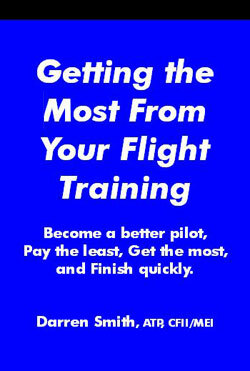 Preflight - ensure that your ELT is in good working order. FAR 91.205 indicates that it is required for all phases of flight. Consider the purchase of Personal Locator Beacon which operates on the new 406MHz that is monitored by search and rescue authorities in this country (unlike the 121.5 ELTs). 2. Emergencies: Stop & Think, Observe current situation & Plan a resolution. Use checklists. 3. Use good aeronautical judgment and decision making - from your weather briefing to flying over water, be sure that you execute a safe plan and always have a way out. File a flight plan if you undertake an overwater flight. Especially important are winds aloft. Be aware of changing weather and get enroute updates. 4. Fuel - fill your tanks. Remember your fuel burn per hour and monitor your fuel burn. Prepare a good cross country flight log to manage your fuel and reserve requirements. 5. IM SAFE - Ensure you meet your personal flight minimums. Especially important is the no-go decision. 6. Passenger Briefings - be sure to properly brief your passengers for the basics (exits & seat belts) but also for the additional factors of overwater flight such as use of floatation devices, survival equipment, signaling devices, and water egress. 7. Mental Preparation - stay calm, don't panic, stay together, and don't give up. The Coast Guard reports that many die just as they are being rescued. 8. Water Egress - practice water egress on the ground. A simple 1 minute drill can save your life. 9. Ditching - ditch the aircraft with the gear up and at the slowest possible forward speed with doors unlocked ajar. Be sure all passengers are using shoulder harnesses. Land into the wind. Transmit mayday, 7700, and activate ELT. Secure or ditch loose items. 10. Survival - Basic first aid supplies, VHF handheld, flares, dye markers, whistles, strobe lights, and a signaling mirror are very useful tools. Extra water for each passenger is very important. Flotation devices such as vests & rafts are bare minimums for extended overwater flights. Protect yourself from hypothermia by bringing large garbage bags. Step inside of those bags if you must float in water... they will keep your core body temperature several degrees warmer than without it.